Rare to find electronic music with melodies that have more than 3 notes and aren't repeated to kingdom come, with arrangements that aren't exclusively percussion centered and heavily dependent on pads that do everything for you. True - the melodies were already written for Allosonic - but his reharmonizations, interludes, musicality are mixed in with his own themes and riffs. 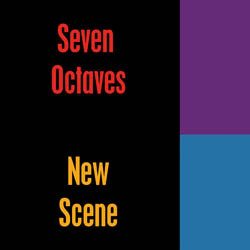 The sounds are not cutting edge, often they are rather retro, but after spending an hour or two sorting through the many mundane tracks from Soundcloud's christian/electronic groups - these cuts stand out as fresh. The artist self-describes them as loosely melodic trance. One of my all time favorite electronic albums is Prisms by Jeffrey Lams and John Andrew Schreiner, from Maranatha's Colours series in the mid 80's. I haven't found anything like it since. "Hymns Electronica" is reminiscent of it - with catchy riffs and popping beats setting up the hymn statements. Particularly nice on a few of the tracks is when Allosonic only uses one motif from the hymn - as in "Doxology Three", or extracts a motif from the hymn to form it's own poignant theme, as in "All Hail". "Doxology Three (All Creatures)" is irresistible and uplifting, definitely in my top ten for the year. "Doxology One" also has a very nice synth break and brief solo - beautiful, moody track. This music is free, btw. 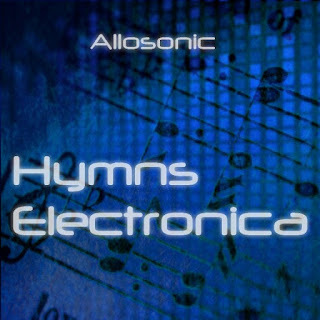 Just go to the Hymns Electronica page at Soundcloud. Here is his Facebook page.